Family Attractions cardholders can take 50% OFF tickets to Wednesday home games during the 2019 regular season. For full details or to purchase, visit cardinals.com/family. Blackout dates may apply. This offer is redeemable beginning on March 15, 2019. Offer is valid for regular tickets priced at $20 or higher. Offer is not valid for Party Suites, All-Inclusive tickets, Home Field Box, Infield Field Box, 1/3 Field Box, Diamond Box, Dugout Box and Redbird Club tickets. Offer is based on availability. Not valid for July 31st game vs. Chicago. Expires 9/18/19. 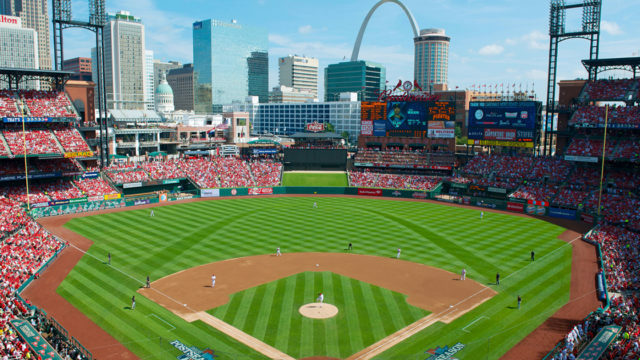 Get ready for summer baseball excitement as the St. Louis Cardinals take the field at Busch Stadium! 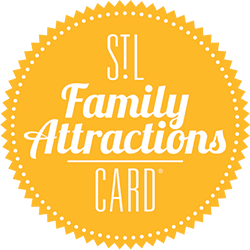 Hear the crack of the bat, see the sights of ballpark, and feel the thrill of the game at one of St. Louis’ most popular attractions!